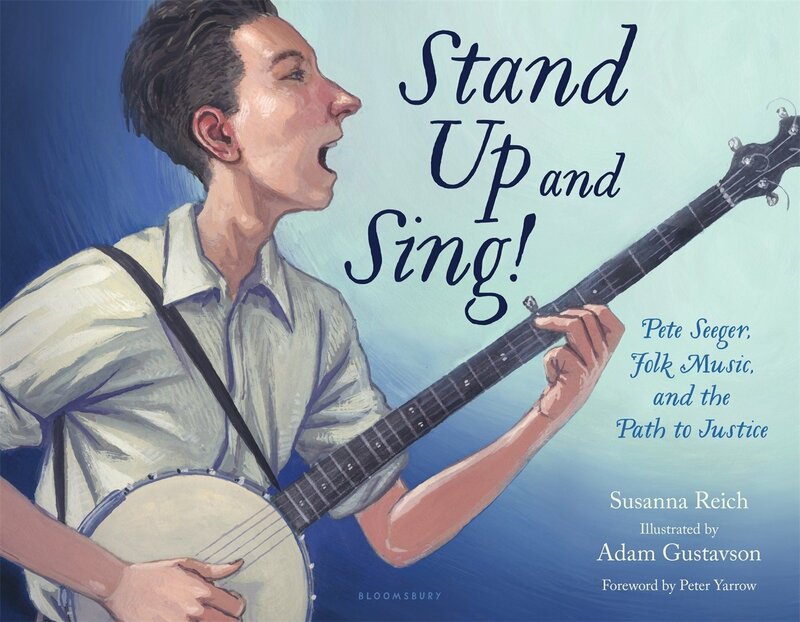 Stand Up And Sing! is my latest collaboration with author Susanna Reich. 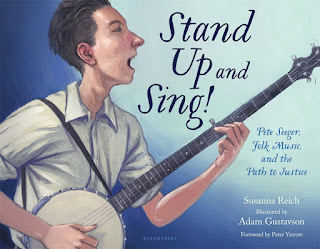 It's the story of folk singer, activist, environmentalist, and erstwhile shipbuilder Pete Seeger, from his birth in 1919 to his passing in 2014, complete with forays into the labor movement, McCarthyism, the Civil Rights era, and the founding of the Clearwater organization. The artwork for the book takes a couple directions, medium-wise. I wanted the backgrounds to have a texture reminiscent of a calfskin banjo head, something accomplished with thinned down oil paint on prepared paper and a lot of trial and error. The full color art is painted in gouache, but I wanted the spot art to have a sense of immediacy, functioning as little passing details to land on through the storytelling, but not things to be lingered on much. Pete's life story is rich in experiences, and the varied visual approach is an attempt to fit as much in as possible, while helping to prioritize and elevate some details above others. It also serves to provide a rhythm to the narrative, something that can be a challenge in nonfiction (life events don't care if they happen in a convenient story arc, and sometimes need to be coaxed a bit). Nailing down a consistent likeness for a protagonist who ages 90+ years in the course of a tale is in itself a very specific challenge. My previous book with Susan, Fab Four Friends, had similar challenges, and getting things to feel right without giving the art a stiff or self-conscious quality is a real balancing act. 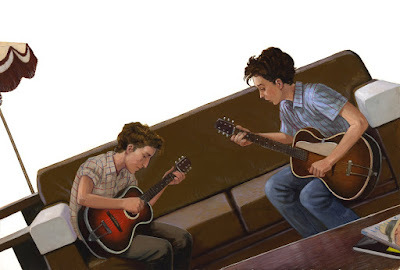 In both books, the characters, period details of their surroundings, and their relationships to their specific instruments through the years all had to be delicately shoehorned into compositions that first and foremost served the story, hopefully stripping away some mystique from cultural icons in service of empathy.